Nazi Richard Spencer Hails SOTU Co-Author Stephen Miller For Making Trump More Extreme On Immigration - Joe.My.God. 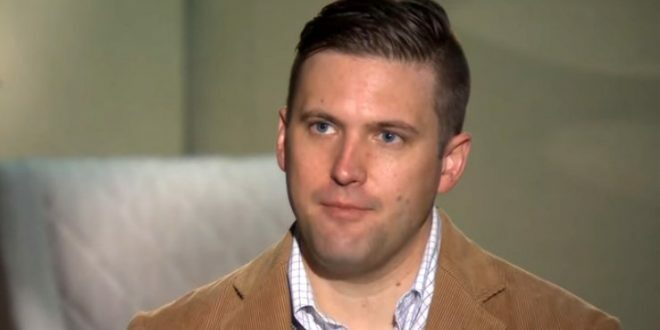 Richard Spencer — a figurehead for the white nationalist “alt-right” — praised Trump’s senior policy advisor Stephen Miller for pushing the president further to the right on immigration. Miller and Spencer have a history. Both attended Duke University in the mid 2000s while Miller was an undergrad and Spencer was pursuing a PhD. In a December 2016 interview with Mother Jones, Spencer admitted that he wanted to keep his relationship with Miller quiet.